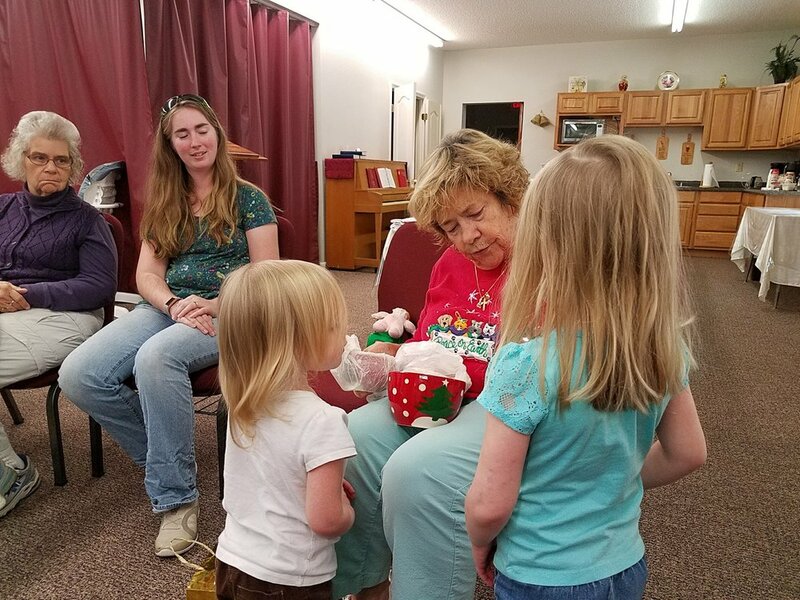 Wed. morning, Dec 13, we had very, very few coupon orders to fill, so the ladies were free rather quickly to help me get started. I asked them to start pulling the 8.1’s off the shelves and tubbing them up. We were at least 3 shelving units ahead of the guys by now, so we were able to get them off the shelves and over to the other office through the back door, while the guys were taking the former shelving units apart in the main area, and lugging through the front doors and into their new locations. BUT… the 8.1’s aren’t as easy as they sound. First of all, the unit was a full 8 feet high, and we had shelves to within 1 inch of our ceiling. Just getting up that high is a feat, and then getting the fabrics off, working so high above your head is not simple. Then, when you get to the 8.4’s, you’re into backing fabrics. If you’ve ever thrown around a 15 yard bolt of backing fabric, you know that you’ve been throwing something super heavy around! 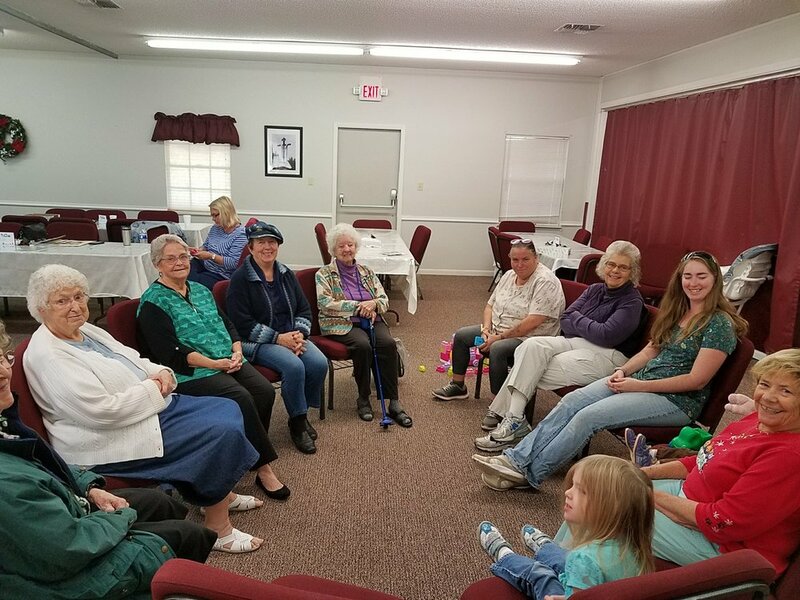 took over the kitchen area of their new building while awaiting the emptying of their new home. Plus, we wanted to make up an exclusive backing fabric and a “white fabric” room in the new Quilted Twins storefront. So, we had to find a location to put these, to keep them out of the way of progress, but off the shelves, and not blocking our path to continue, until we could get Cheryl out of her location with all of her coupons. (We had previously just been messing up Margaret's working area.) Thankfully, we were able to stack them up everywhere in our taping room of TheCouponClippers and just maneuver around them. We just lined up along the wall back out of the way. 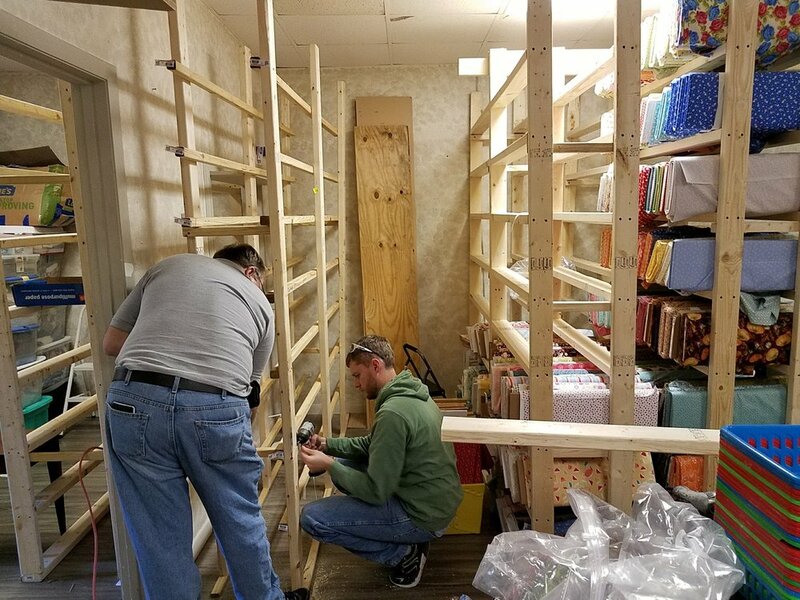 Those huge bolts of backing fabrics did their trick on us and we had to stop, once we got them over to the new building, as the guys had not yet stabilized their shelving. They asked me NOT to shelve anything, because it wasn’t stable yet. So, I took the mail in, and headed back to start unloading the next set of shelving units in the small original QT office. We were doing a relay. 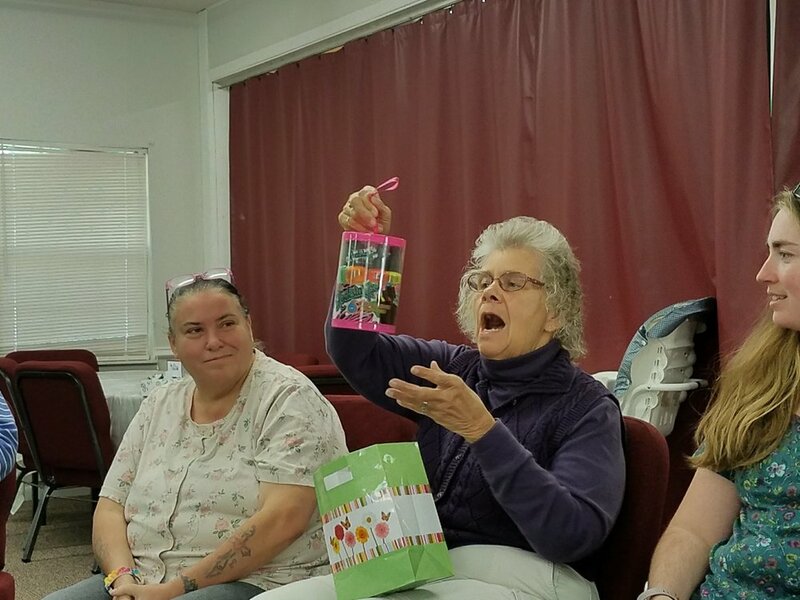 It wasn’t a race, but basically we ladies would unload the shelves, and the guys would disassemble them, and reassemble them in the new building. Then, we ladies would re-shelves the fabrics we had unshelved in the original building. would move the units into position, stabilize them and we females would fill them. Here they are removing a unit from the old QT office, before moving it into position in the new location. So, they asked me NOT to fill any more until they had 4 units put together. 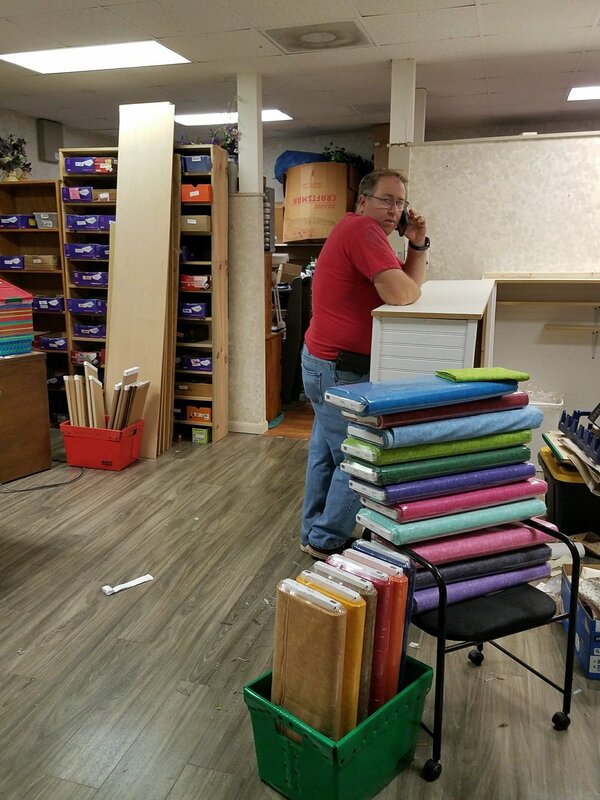 I hustled quickly over to the office to finish unshelving the final row of the 9.1-9.2.17-bolt 15 unit and empty the 9.2 and 9.3 unit totally (The fabrics shown behind Michael's back in the picture above.) As I was hurrying over to the new building with the last of the tubs off those units, I ran into my son in law, who was showing up to get started disassembling more shelving units. I quickly told him what we needed, and headed back to the house to finish prepping for our annual Ladies’ Christmas Party and December prayer letter folding event, which started at 10 a.m.
Party – success; Prayer letter – done; Paperwork for prayer letter – done; all ready to tackle the move again by 2 p.m. on Thursday afternoon. Cheryl had volunteered to help me. were a lovely and welcome site.. stabilized and ready to fill. We worked, back and forth, back and forth, hauling fabrics from one building to the new one for 3 hours, and worked from 9.1.1 through until the 10.12’s. We had managed to fill up most of the second long row of shelves before we ran out of steam. Once we had the units! Some of these had been briefly stored in the kitchen area, so I was starting to feel some relief and less overcrowding of the walk areas. But, despite huge progress on ALL fronts, It was a still a sense of total discombobulation. Stuff was everywhere. Things were half in place, half out of place. We had to move one thing out of a position before we could put the proper thing into position. It looked like a war zone. Only our precious fabrics were all tubbed, even if they weren't safely on shelves yet. My brother would pop in and out, helping move things as he could. Thankfully, we all spoke with low tones and everyone.. I mean everyone.. let me think, plot and plan--how to shift one thing where and put it here so as not to move it again until it went into place. Ken and I would often stop and confer with each other, while trying to figure out things to avoid repeating physical labor. 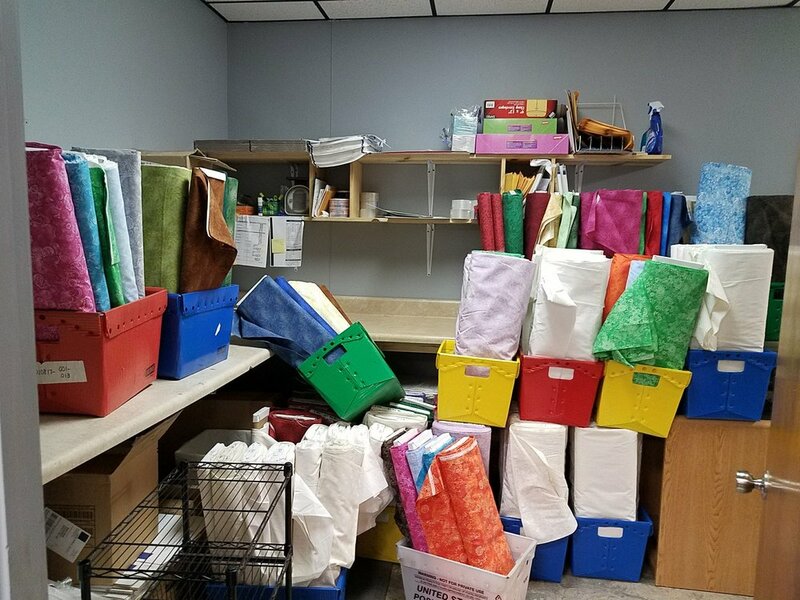 Finally, we were able to clear out a large white divider, which left me able to clearly see the new home for our whites and backing fabrics! I felt like a breakthrough happened on Thursday afternoon. But, of course, we couldn't move our backing fabrics here into this nook until we had our coupons out. We couldn't do that until after our Friday deadline was finished, and this was only Thursday. 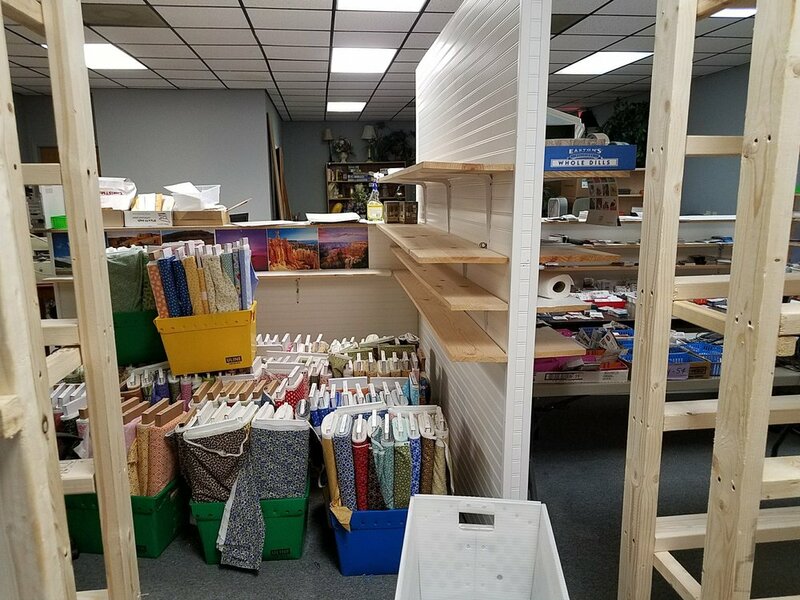 By now, however, we were seeing some empty spots in the former Quilted Twins office and some empty floor space and the beginning of the end of removing all fabrics from the smaller QT office! What a rejoicing I was having within! Supper break. Time for renewal of energy and enthusiasm. 8:45 p.m. Sarah was able to come over and help with the 10.15-11.4’s. By now we had worked our way into virtually no room, as we still had the first coupon station in position. 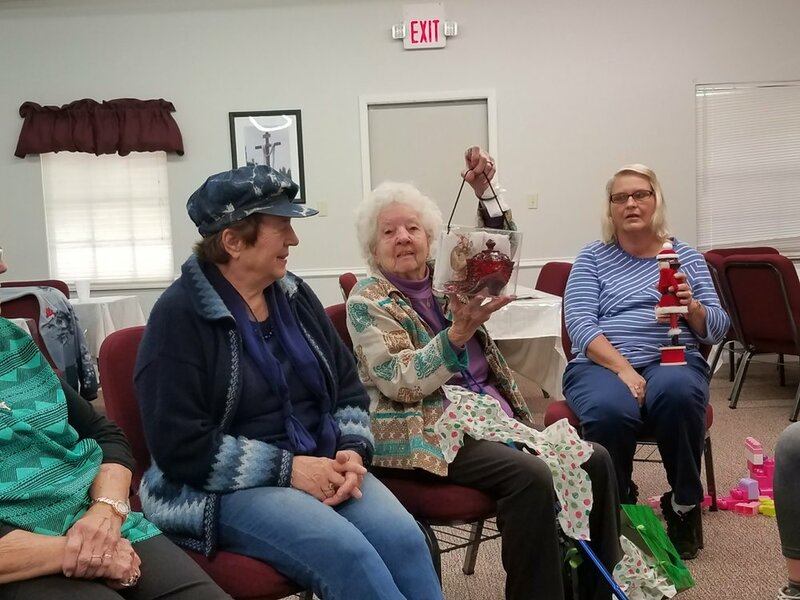 We really needed to move her out, but we needed them to be able to keep it there, so Margaret could fill coupons order on Friday morning until noon. 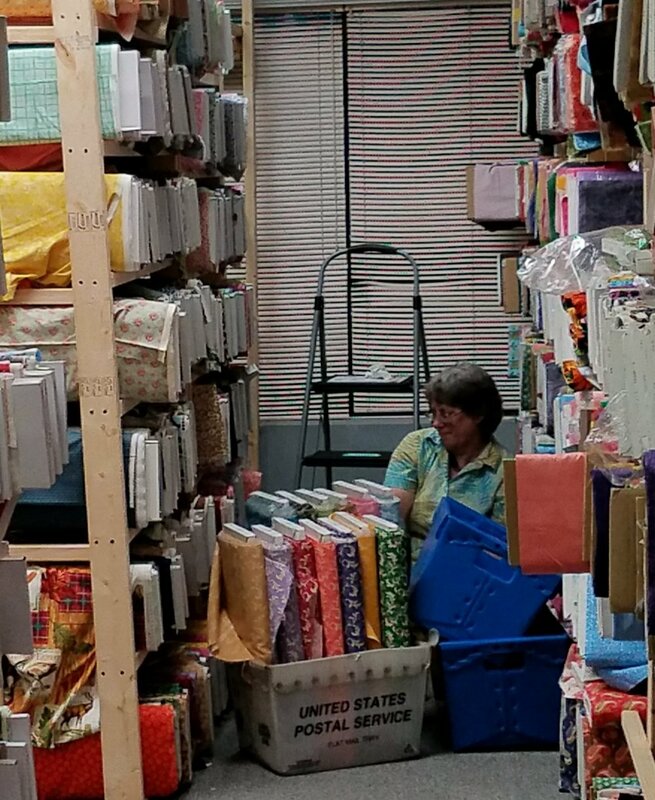 So, I gave the honor to Sarah to squeeze herself into spots and put fabrics on shelves with no spare room, and not knocking off the computer!! We worked until 10:15 p.m .and called it quits for the night. 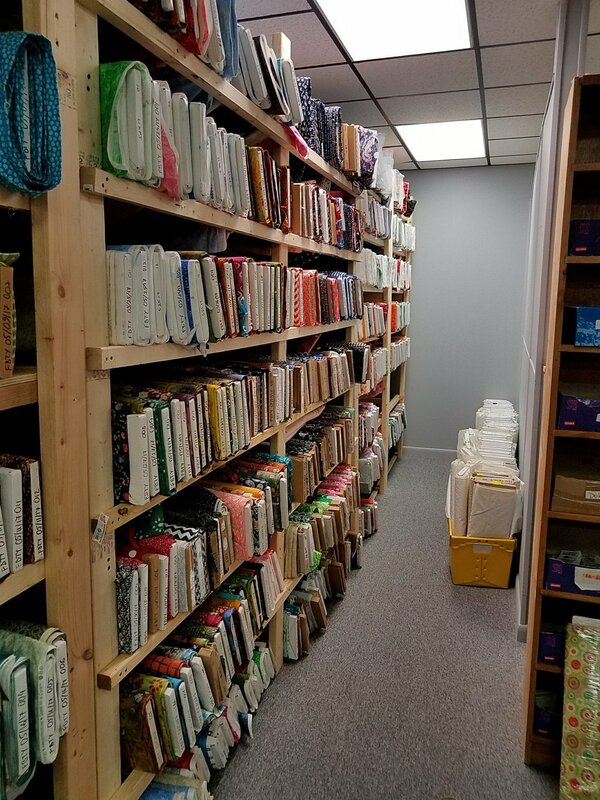 We had finally shelved all the fabrics that we had in the old QT office, except for the whites and the backing fabrics, which were still waiting for their home to be cleared. ...Next up... Part 4 .. Getting the coupons out of the fabric building! Vehicles DO sometimes spontaneously combust!